WASHINGTON – (RealEstateRama) — The Department of Veterans Affairs (VA) announced key changes in the processing of GI Bill benefits payments under the Harry W. Colmery Veterans Educational Assistance Act of 2017 (Forever GI Bill). 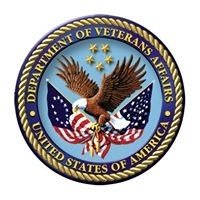 Effective Dec. 1, the Veterans Benefits Administration (VBA) will reset its implementation efforts for sections 107 and 501 of the law to give the department the time, contracting support and resources necessary to develop the capability to process Spring 2020 enrollments in accordance with the law by December 1, 2019. This includes soliciting bids from contractors for support in the areas of program integration, systems implementation, and software development. During this time, VBA will pay monthly housing allowance rates for the Post-9/11 GI Bill at the current academic year uncapped Department of Defense (DoD) Basic Housing Allowance (BAH) rates. For many students, this DoD BAH rate will be equal to or higher than their current payment. VBA will also correct retroactively any underpayments resulting from section 107 and 501 implementation problems. If a student was overpaid due to the change in law or because of VBA’s challenges in implementing the law, the student will not be held liable for the debt. Also, for the current academic year (2018-2019), VBA will pay housing allowances based on the location of a school’s main campus, rather than the physical location of the student. This interim policy will terminate by December 1, 2019, upon implementation of a fully developed IT solution for sections 107 and 501 of the law. Finally, VBA will define a training site as a “campus” when the following conditions are true: the physical site of the training is either owned or leased by the school, and the school has ownership or control over the student’s classroom instruction or the faculty conducting the instruction. This approach reduces the administrative burden for schools and students from VBA’s initial interpretation of the law. As these changes are implemented, VBA will remain in continuous contact with Veterans, Congress, Veterans Service Organizations and other stakeholders to ensure everyone is informed and knows what to expect. While VBA’s pending education claims inventory was three times higher than normal in early September, that figure is back to normal levels. For more information on VBA’s pending education claims inventory, see here. VBA strongly encourages schools to begin submitting enrollments immediately for the Spring 2019 term to help VBA process them in a timely fashion. This will ensure that Veteran students receive their housing payments promptly and schools receive tuition and fee payments. VBA expects to maintain timeliness standards of an average 28 days for a new enrollment and 14 days for a re-enrollment. If students require assistance with their GI Bill benefit or experience a financial hardship due to a delay in payment, we ask them to contact our Education Call Center at 888-442-4551 between 8 a.m. – 7 p.m. Eastern Time, Monday-Friday. Students may also keep in contact with VA on our social media sites; on Facebook at www.facebook.com/gibillEducation/ or on Twitter at VAVetBenefits.